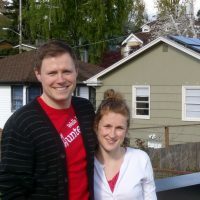 Spark Northwest plans to launch a series of community group purchase campaigns for solar energy in 2019. Our successful Solarize campaigns simplify the process of buying solar and help residents and small businesses take action together to lower their carbon footprint, build energy independence and save money. Spark Northwest is seeking local governments, tribes, or community-based organizations across Washington and Oregon to serve as the community partner in a community energy group purchase campaign with an emphasis on serving underserved constituents – low and moderate income households, rural homes and businesses, and communities of color. As community partners, selected groups will receive assistance from Spark Northwest to competitively select an installer, conduct community outreach and education, implement a series of free workshops, and facilitate the installation of the solar in homes and small businesses. Selected Community Partners will receive solar training, equipping you with the knowledge, tools and connections to begin planning a project. In addition, you may receive ongoing coaching and seed funding for project management, depending on the scope of the project and the applicant need. Up to 6 communities may be selected for solar group purchase projects in 2019. Download the Call for Partners to learn more.